It can’t be that hard, right? Just put the razor and shave cream away for several weeks and let nature run its course. And when it runs its course, the end result will be that full, manly beard you’ve wanted since you realized that other men with beards we’re, ahem, having all the luck. 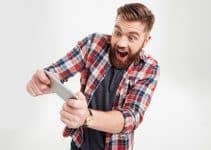 Or, maybe the beard you’ve wanted since your girlfriend – or the woman of your dreams you’ve had your eye on – happened to mention how much she likes a man with a beard. OK, so maybe it’s not that angst-causing, but frustrating? Hell yes. Other men are sporting superb facial hair while living their everyday lives as walking, talking symbols of virility. Sure, you might have the cutest little baby face but … you get the picture. It’s hard to sit on the sidelines while bearded men seemingly rule the world, but the last thing you should do is take it personally. You are not a defective person. You’re just someone with, well, maybe not bad luck, but bad genes. Or, are impeded by other factors. I Get It Already. Why Can’t I Grow a Beard? Theories abound. Perhaps you’re just a late bloomer who is waiting for nature to flip the switch of your full maturity. Actually, that’s not that far off, because nature has a lot to do with it. Did dad have a perpetual baby face, as his dad had before him? For that matter, are you in your 20s or 30s and still being asked for age verification when you try to buy alcoholic beverages? Well, you can’t fight city hall, and you can’t fight genetics, either. Is It Because I Have Low Testosterone? There’s a lot of chatter when it comes to the issue of testosterone. On one side you have those who say a man’s ability to grow a beard has a lot to do with the big ‘T’. On the other, you have the, “It’s not up to you, it’s genetics,” group. Those in this camp focus on the fact that beards are produced by something called dihydrotestosterone. It’s a chemical which is synthesized from testosterone. And you know from junior high health class that testosterone is what stimulates male development and sexual characteristics. 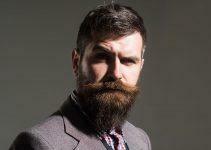 The argument, then, is that men who can grow nice, thick beards are more responsive to testosterone. They key here is ‘responsive.’ The vast majority of men have the same levels of testosterone in their body, but how their bodies respond to it – which takes us back to genetics – is the biggest factor. Of course, some men suffer from low testosterone, with potential symptoms such as decreased muscle mass, erectile dysfunction and the development of breast tissue. Fortunately, therapy and supplements are available to men who struggle with this issue. Is It Because I Have a Skin Condition? 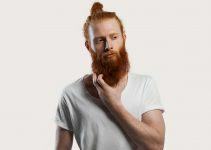 In some cases, but not many, you may have a skin condition which prevents you from growing a beard. Alopecia is one such condition, and it can cause balding and hair loss. When you suffer from alopecia, your immune system actually attacks your hair follicles – by mistake – and hair follicles are where your hair growth begins. Fortunately, the damage done by alopecia to hair follicles is not permanent. If you think your suffering from a skin condition like alopecia, then it’s time to see your dermatologist. Another factor that can contribute to slower hair growth is an underactive thyroid, also known as hypothyroidism. Other factors could include iron deficiency or anemia. The bottom line is that there are as many theories about why some men have better luck growing facial hair than others as there are theories about what happened in Dallas on November 22, 1963. Here’s another one: It’s even been suggested that drinking from plastic water bottles that have been exposed to the sun has an impact on beard growth because water bottles exposed to the sun release BPA, which scientists think may mimic the female hormone estrogen. Hmm. 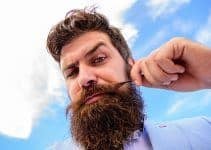 There may be other factors as to why you can’t grow a beard, including those which suggest leading a healthier lifestyle, can help the process. That includes eating better, sleeping better, cutting out habits like smoking and excess alcohol consumption, stressing less, and taking better care of your skin. But, let’s face it (no pun intended), whether you can grow the beard of a lumberjack or not, leading a healthier lifestyle just makes good sense. Is There Anything I Can Do To Grow The Beard I Want? 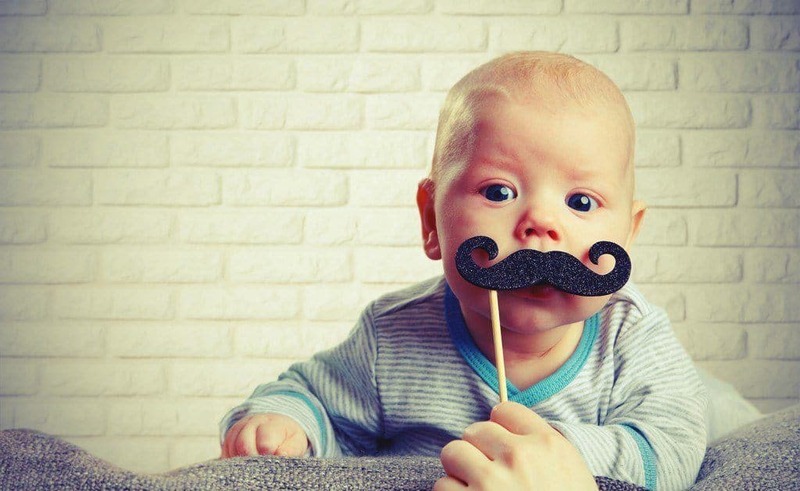 If you’re still in your early 20s, sometimes all you need is patience because you could be a late-bloomer when it comes to prime facial hair growth. 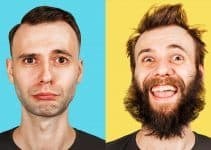 It’s not exactly science, but some men have even reported that regular shaving – even when you don’t need a regular shave – can ultimately pay off with a full, strong beard later on. Although, shaving only gives the appearance of thicker hair. Other say that taking certain supplements, such as Beardalizer, will help produce the Beard You’ve Always Wanted, but science hasn’t quite got around to giving a two thumbs-up on that one, either. Besides, taking a daily vitamin supplement may accomplish the same thing or, trying beard transplantation. What to make of all this? You’re wondering why you can’t grow a beard and even looking for the magic answer that can eliminate the issue completely. The truth is, that single solution might be just a bit too elusive, especially is you come from a family where smooth-faced men were the rule, not the exception. Genetics are genetics, no two ways about it, but don’t surrender just yet. Your time may still be coming. Has anyone noticed that Orientals & Native Americans don’t usually grow facial hair ? So then, having Ancestors from this group can cause the baby-face ? My ancestors were the last people to use the word “oriental” to describe a person. Why? It’s literally the proper way to describe it. As a historian, I can’t help but notice that people these days are so dissociated from who they are and where they come from. It baffles me. Simply put: Orient refers to Eastern Civilization (East Asian) and Occident refers to Western Civilization (European and North American). I am Japanese and I have a full beard. I have always wondered why some people can grow beards and others can’t. Luckily, I am on of those who can grow a pretty good beard. I was unaware that there were certain things you could do, like take supplements, to make your beard grow out more.